mAh per display square in. 193mAh/sqrin. 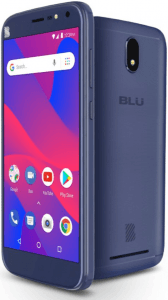 The C6L, by BLU, features an unpromising 5.5-inch 1280 x 720 display with a 267ppi-only pixel density count, while it accompanies its 5-megapixel selfie cam with a dedicated LED flash, which was not that common among entry-level smartphones when it was released. It also runs on the efficiency-first Android Go OS, probably to make up for its sub-standard 1.4GHz quad-core processor and 1GB-only RAM. 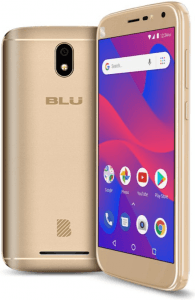 Pros & Cons BLU's C6L comes with a flash-equipped 5-megapixel front cam and runs on Android Go, but it suffers from only 1GB of RAM and a rather bulky 203g-heavy body. Learn more about its low-end pros and cons in our specs-based analysis here. 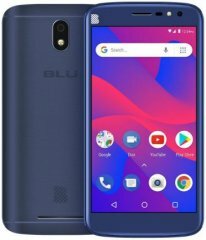 (more) More BLU phones See all the new BLU phones.